Supplementary materials for teaching Issue 04 are listed below. Marie-Helene Bertino and Zinzi Clemmons discuss their hometown of Philadelphia and the writing process. Bertino’s short story “The Idea of Marcel” appears in Issue 04. Jennifer Haigh talks with S. Tremaine Nelson about Updike, aging, and desert island books. Haigh’s short story “A Place in the Sun” appears in Issue 04. Nicola Waldron speaks with Melody Nixon about finding and feeling at home, the American Dream versus the British Dream, and wanderlust. 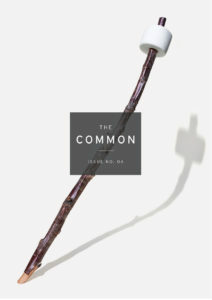 Waldron’s essay “The Land Up North” appears in Issue 04. See all of Issue 4.